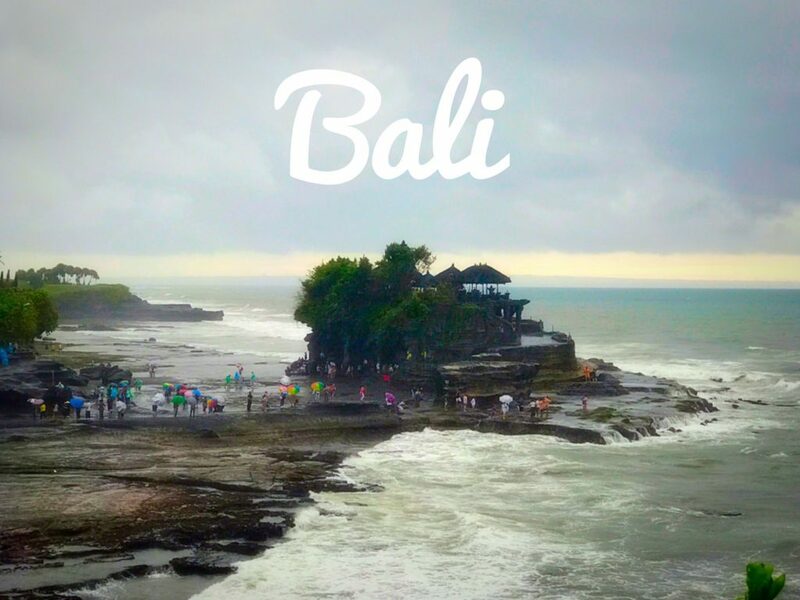 Bali Baby - Find out why it is one of my top favorite travel destinations! If I have to pick my top 5 favorite travel destinations so far, Bali will definitely be in that list. The island offers something for everyone – beach, diving, surfing, forest, mountains, great food, nice spas, many budget options, and the list goes on. There is nothing that can go wrong with picking this magnificent island as your next holiday destination — well wait — maybe the only thing you gotta watch out is the mosquitos (like any other tropical island). But honestly, why would someone not visit Bali, WHY? So, let me give you all the good reasons to add it to the top of your travel list. Bali is an affordable holiday destination from anywhere in the world. The main cost will be your plane ticket but the rest just gets better. Of course, you can make it super luxury and fancy, but you can have a very decent, clean and relaxing accommodation for as low as 30 USD/night. You can also have a very good meal for 15 to 20 USD for 2 people. After diving, food was the second most exciting thing for me on the island. The food is just awesome. From breakfast, to lunch and to dinner, you will never run out of options. Fruits and vegetables not only look great, but also taste so much better there. And of course, the seafood is a no brainer. You will find some awesome restaurant tips in the “Where to Eat” section of this post. You trip to Bali is incomplete without staying in this lush green area. Ubud is super relaxing, peaceful and calm. Monkey forest, art market, rice fields and those natural spas, everything is an experience to cherish. For spa and skin care lovers, I would recommend the SKIN organic spa in Ubud. There are around 6000 Hindu temples in Bali and some of them are must visit during your stay. I really liked the Tanah Lot, Uluwatu, Elephant Cave and Holy Spring Water Temples. This one is tough. I can imagine that Bali is great all year long. We visited in January, and absolutely loved it. It is said to be the rainy season, but rainy season in Bali does not mean that it would rain all the time. During our one week stay, we had rain 4 to 5 times, and that too mostly at night. The weather is quite pleasant (was already hot enough) and the island is not very crowded during this time. We loved it by all means. But if you want to avoid the rainy season, then Apr or Sep is your best bet. Probably better to avoid the middle of summer when it is very packed (considering even in rainy season it could get jammed at certain places). You should definitely plan to stay for at least 7 nights in Bali to make the most of it. Split your stay in two areas. I would suggest having 10 nights so that you can spend 3 nights in Lambok as well – even better Gili islands (the islands about 3 hours away by ferry boat). And if you like spending more time on beach, then probably stay longer at Lambok or Gili Islands. As I mentioned earlier, 7 nights would be minimum I would suggest on this island. You can split them between Ubud and one beach town. If you want to enjoy the beach, stay in Sanur area. The beach is nice, low tide and with lots of nice beach bars and restaurants. I would suggest avoiding the Southernmost tip of the island for the stay, unless you like to be on a beach area with big holiday resorts one after the other. I personally liked the town of Seminyak a lot as it has a lot of style and very cool feel to it. Just the beach is not very nice, but you can travel to other places and beached easily. The beauty of Ubud is to stay a bit outside the main town and enjoy the nature and relaxation in the lush greenery. We stayed at the Alena Ubud Resort and absolutely loved it. Highly recommended by all means. Staff is so nice, food is delicious and the resort is top. Other than that, there are tons of nice bed & breakfasts and budget flats to rent. Rent a scooter. Bali on scooter is a lot of fun and you will be surprised how lucky you will feel on a scooter when all the cars are unable to move. Of course, you have to watch out a bit and take a bit more care, but it works. I generally did not like the idea of renting a car with a driver because most of the times, it was expensive than even taking a taxi. So just calculate based on your budget. We tried taxi, car with a driver and scooter. And I would say my preference would be scooter first, then taxi and then the car with a driver. And if taking taxi, make sure it is running the meter. Avoid Kuta town unless you want to party in the crowded area. Kuta is packed with people and with cars, and definitely not the place to relax. Visit the dreamland beach and dip into the infinity pool at Klappa. Make sure you have insect and mosquito repellents with you and you are using them, especially in the evening and night. First and foremost, if you are from one of those countries that need visa for Indonesia, make sure that you plan well in advance. For most of the countries requiring visa, if you are living abroad, you can only apply for visa from your home country in Indonesian embassy. I had enough trouble with this and would not recommend it any other way. Bali has a clear good and a bad side. It can get very touristic and full of people depending on what time of the year you go or what area you pick to stay. The beaches are not the perfect white sand beaches that you get in some other tropic islands. You have to pick the right time and the right beach. The beaches on South (more Southwest) get a lot of trash washed away and are full of plastic (especially in rainy season – Nov till Mar). Though, rainy season has its own benefits that I shared earlier. And may be, more people need to see this trash being washed away on the beaches in the south to realize why we need to save the oceans and seas. This was indeed very very very sad to see. Traffic jams can be crazy in Bali, especially in the dry season. Do not calculate your travel time based on your usual calculation of kilometers. Bali will surprise you on that. Especially the area around Kuta town and Ubud can be very packed with cars. So, again, rent a scooty. People in Bali are generally super nice and relaxed. But when it comes to shopping, sometimes you have to be careful on what price you hear. Bargaining is a common practice in Bali, and depending on the area, shop keepers would generally quote twice or thrice the price it should be. Especially with taxis, make sure you take the taxi with running meter only (it would generally be fairer and cheaper than setting a fix price). Fun facts or not-so-fun facts, nothing should stop you from visiting this island as it is one of its kind. And, it is very affordable compare to most of the islands you would want to visit. P.S. 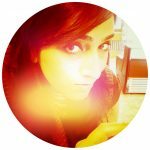 if you like the post, do not forget to follow @beetravelista on Instagram! I would love to go to Bali, I’m surprised to hear that it’s cheap, I always imagined it as a really fancy place! I’ve never been anywhere like this but I already can tell that I would love it. From the beaches to the temples to the food (but not the coffee!) it looks like a great vacation! Bali has been at the top of my bucket list for years (just convince the husband to come along).maybe this article will help convince him!? I love that you have included some not so fun facts too, it can’t all be perfect mosquito free life. Totally agree, Bali is an incredible destination! Ubud especially is just stunning. This makes me want to go back so bad! Great post. I think you’ve just put Bali on my radar! Being from Australia I have always avoided Bali due to its reputation as a party place – but knowing more about other areas (which look so beautiful!) I’m keen to give Bali a go! Oh definitely. We avoided that typical party locations! I like that you don’t try to sugar coat it and show both sides. Also, makes me want to eat some Indonesian food! Recently returned from the island of the gods- bali. I am already feeling so nostalgic right now. I’ve never visited Bali, but your tips, advice and suggestions are great for first time travelers – not just the positive but what to expect and stay away from too! Love your pictures, especially of Ubud! Bali is definitely on my list. I have heard great things. I would love to do some snorkeling and visit some of the islands. Sounds like there is plenty to do for a weeks vacation. Thanks TravelTasty. And yes you should. I am happy to answer any questions that you will have while planning!